A Derbyshire industrial lubricants specialist has secured a £250,000 loan to support its growth from NPIF-Mercia Debt Finance, which is managed by Mercia Fund Managers and is part of the Northern Powerhouse Investment Fund. 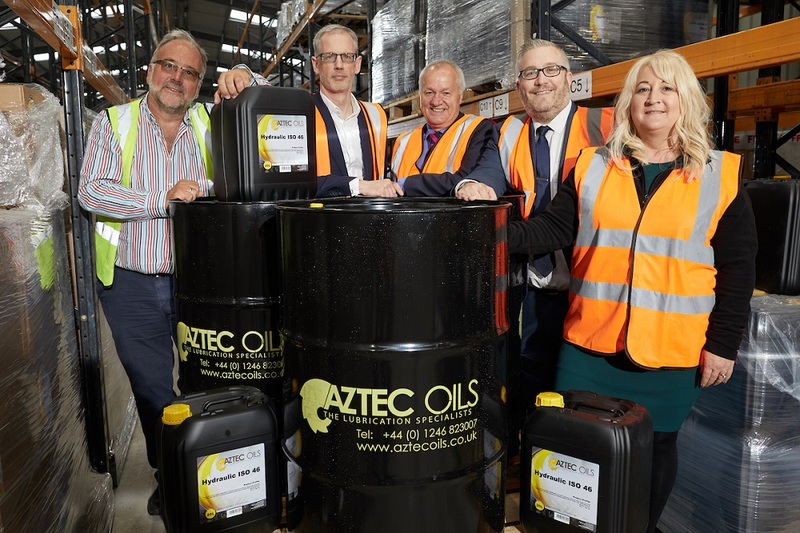 Aztec Oils will use the money to fund the first stage of its three-year £1.2m expansion project which will increase storage capacity and turnaround times at its flagship Bolsover site. The company, which manufactures and distributes high-performance lubricants to a wide range of industrial sectors, is targeting 20% growth in the current financial year, having increased turnover by 18% last year. Aztec was established in 1995 by Mark Lord and initially operated from a shed on the Bolsover site. The company has grown steadily and made a number of acquisitions in recent years including Midlands-based Oiline Ltd in 2010, Northern Oils in Scotland in 2016, and Netherlands-based OWT Services BV earlier this year. It has also been successful in developing new export markets, with recent sales to countries including Pakistan, Iraq, Ghana and Ukraine. The company now employs around 85 staff. John Warner, Managing Partner of BHP Chartered Accountants, provided fundraising advice to the company, while Paul Harries of Barclays Corporate provided general banking and additional funding support. Phohto Caption: Left to right – Mark Lord, Aztec Oils, Peter Sorsby, Mercia Fund Managers, John Warner, BHP, Paul Harries, Barclays Corporate with Janis Hartshorne.